Situated in the idyllic foothills of the northwest coast of Malta, the Maritim Hotel and Spa is perfectly located to offer guests picture perfect sea views of the Mediterranean. The central location of the hotel in the town of Mellieha provides an ideal base for exploring the surrounding area and offers guests the option of visiting the rest of Malta with superb transport links on the hotel’s doorstep. As if this wasn’t enough, at only 25km from the airport, you avoid long transfer times on arrival and departure. The popular tourist town of Mellieha is the perfect balance of small town charm and seasonal activities for tourists and locals alike. Situated in the centre of town, just off one of the town’s main streets Triq Gorg Borg Olivier, the Maritim Hotel and Spa has a plethora of bars and restaurants right on its doorstep as well as being just a stone’s throw from the beach. 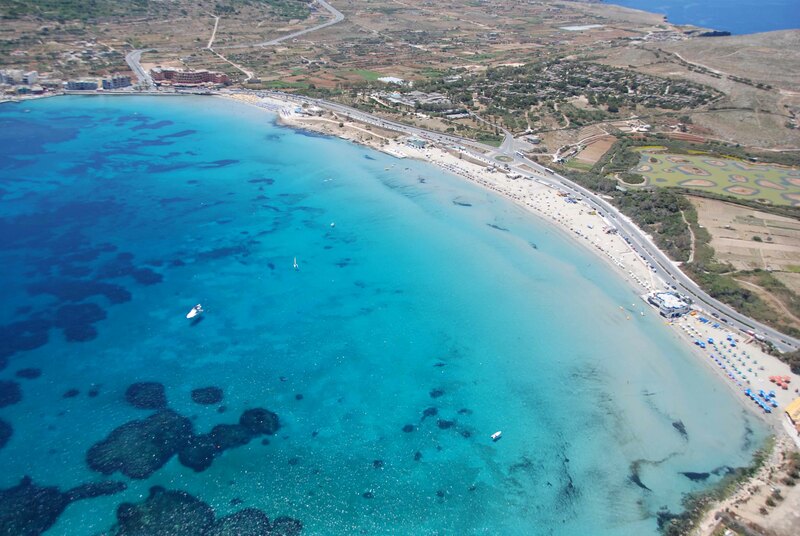 One of Malta’s most popular and well known beaches, Ghadira Bay’s white, sandy beaches and turquoise blue waters provide the perfect location to relax and enjoy the warm Mediterranean climate. With water sports a plenty and a number of beach side bars and restaurants, it is easy to spend all day at the beach. Fortunately for guests at the Maritim Hotel and Spa this paradise bay is under ten minutes’ walk away. Malta is a diving enthusiast’s playground. 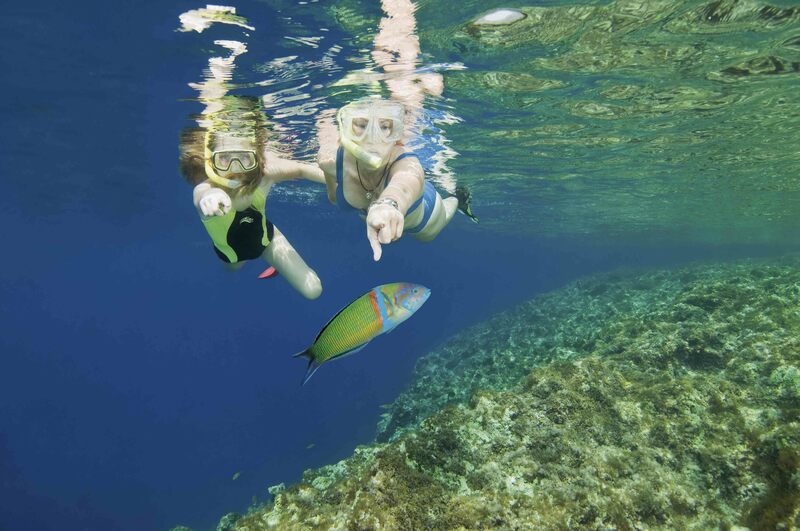 The crystal-clear waters, spectacular dive sites and abundance of wild life creates an irresistible draw for those who enjoy taking the plunge. With daily diving tours for all levels leaving Mellieha to the surrounding waters, the Maritim Hotel and Spa is the ideal base for experienced divers to stay while exploring the Maltese waters or for beginners who are trying diving for the first time. As well as a host of water sports and beach activities, the hotel is positioned close to an abundance of bars and restaurants serving up delicious local cuisine as well as a host of international delights. For an extra special dining experience hotel guests have a special concession for The Arches gourmet restaurant and wine cellar. Located next to the hotel the restaurant is renowned for its exquisite meals and carefully selected wine. Not only is the Maritim Hotel and Spa located in a fantastic local site, it is also a great base to get out of town and discover the rest of Malta and the nearby islands of Comino and Gozo. 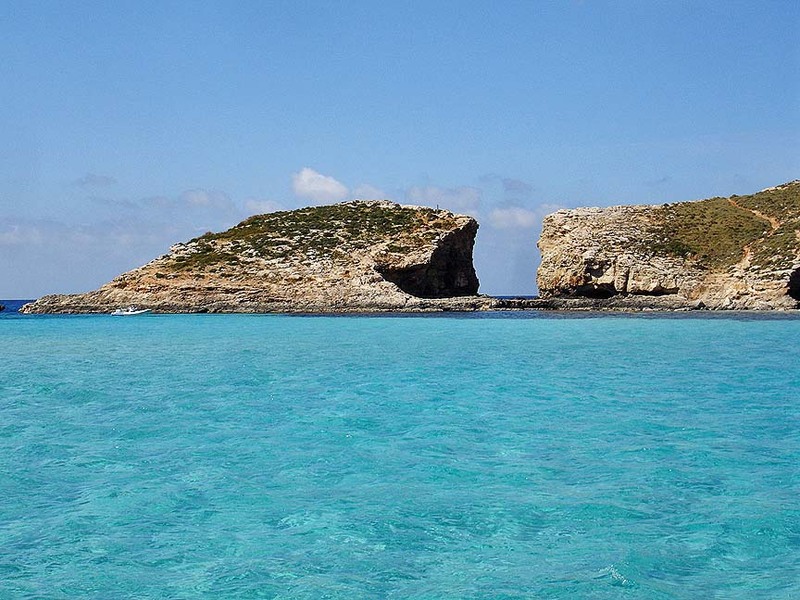 Just a short ferry ride is the island of Comino where you will find the world-famous Blue Lagoon. An unmissable attraction while you are in Malta, the Lagoon’s crystal clear waters are mesmerising. An ideal daytrip for families or couples, daily tours run from Mellieha to the Lagoon. Not only is Malta renowned for its natural beauty, centuries of foreign rule from various nations have left their mark on the island, creating a unique history. This is no better observed than in the many historical ruins and archaeological sites dotted around the island. 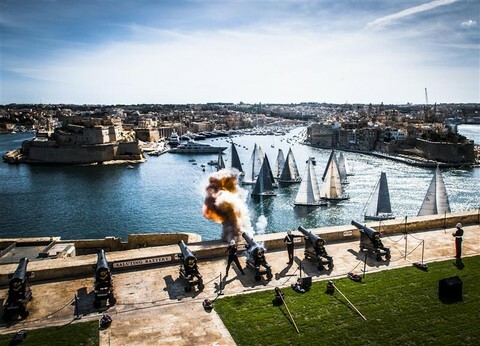 The most famous being the UNESCO World Heritage Site of Valetta. This bustling capital city dates back to the early 15th century and displays some of the most unique and exquisite architecture in Europe. The handy local location of the Maritim Antonine Hotel and Spa provides guests with a great local location close to the beach and plenty of bars and restaurants. The hotel also presents itself as a great base to get out and explore the island of Malta.